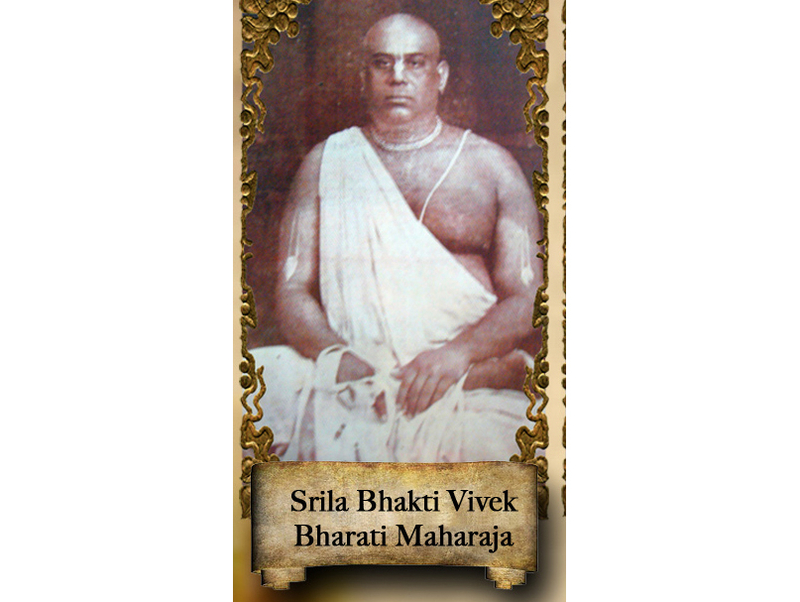 Shrimad Bhakti Vivek Bharati Maharaj (before Shripad Nayanabhiram Prabhu) earnestly assisted Shrila Prabhupada with his preaching activities. Shrimad Bharati Maharaj would preach in very simple language and present the Vaishnava concept in a simple, but attractive, way. Shrila Prabhupada engaged Shrimad Bharati Maharaj to speak to the general public. Shrimad Bharati Maharaj would sometimes make them laugh and sometimes make them cry. His preaching captured their hearts and they would come by the thousands to listen to him. He was an expert kirtan singer. Shrila Prabhupada always knew the greatest strength of each of his disciples, and he would engage them accordingly. Before he left this world, he told Shrimad Bharati Maharaj that he was a hard-working and practical person, and should serve the mission.